But with an important event, the level of anxiety is elevated, from traveling... to the long hours and longs days that just about every "body" puts in during big events. Usually leading to sore bodies and fatigued minds. 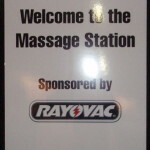 We're told by most Attendees and Exhibitors that we massage, that they are getting massage for relief from some chronic ache or pain, such as headaches, stiff necks, painful shoulders, painful feet and calves, and a lot of sore backs!! 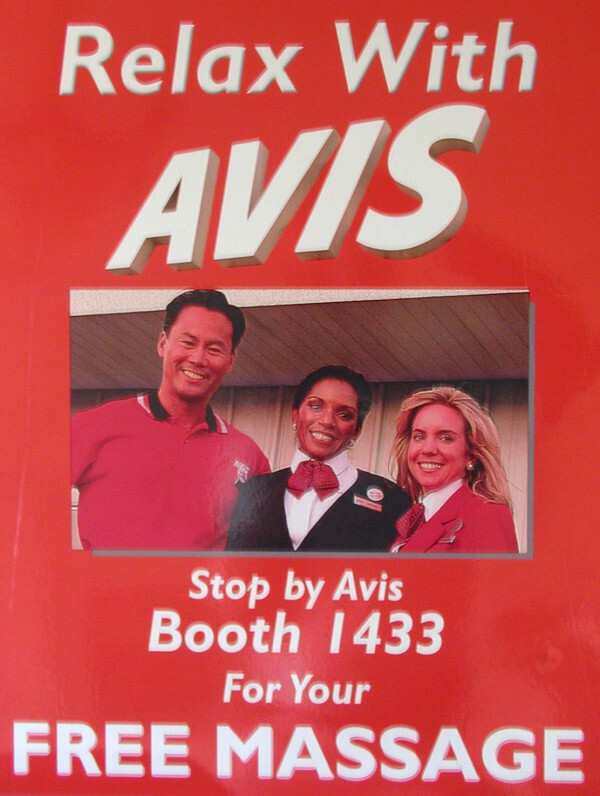 Remember, most Attendees and Exhibitors only attend a large convention or tradeshow once or twice a year, so they aren't use to the amount of walking, the sitting in multiple classrooms, and Exhibitors standing at their exhibits for hours on end each day. Then you have those that we see, seeking relief from sleeping on an uncomfortable hotel bed, or pillow. 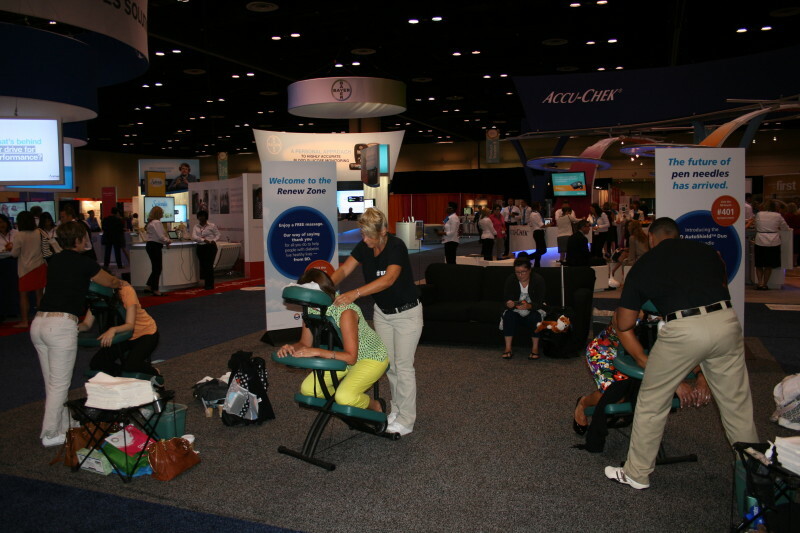 These are all reasons massage at conferences and trade shows have become more commonplace, especially multi-day events. 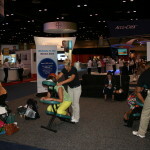 Chair massages at events are nothing new, but now they are expected, and are sought out by many during multi-day conferences. 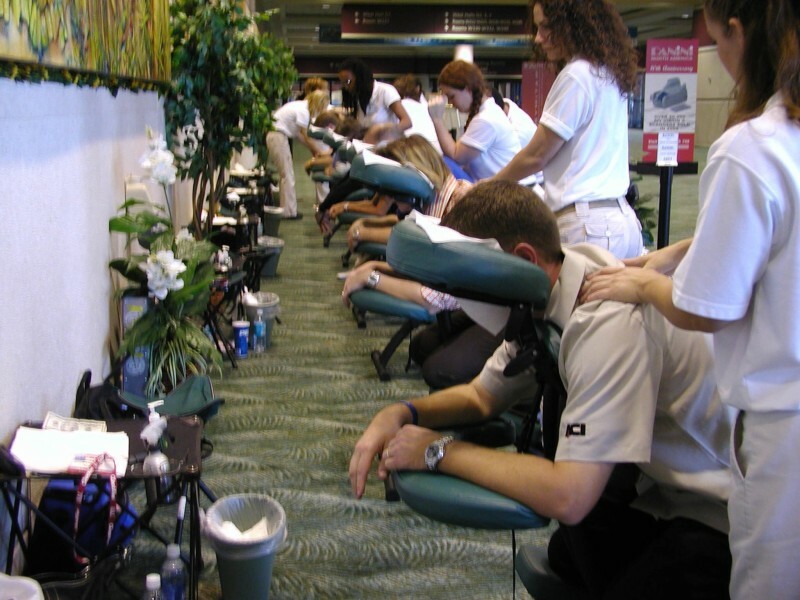 Event massages has become more common today because event management stopped viewing it as a luxury, and started to see it as "Therapeutic". They too realize the benefits and that the attendees want it. 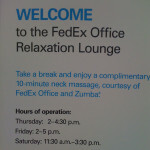 It's not a luxury to those who need to get some relief from a painful headache, stiff neck or aching shoulder or back. We work with, Corporate Executives, Event Planners, Show Management, Exhibitors, Sales/Marketing Executives, CMPs, and DMCs, and try to help them make their events come off with less tension and stress as well as assist those with other medical needs. We pride ourselves in being easy to work with... the less stress, the better... we know that! 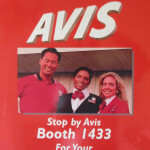 And with our team's experience and knowledge of the trade show industry and corporate events, along with knowing the layout of the Orange County Convention Center and other area convention hotels/venues, helps make everyone's job easier and can help things get done a lot faster. 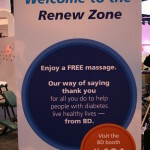 There's no reason why you shouldn't have massages available somewhere at your event! Surveys show they help with attendee satisfaction, and when sponsored, may generates additional revenue! 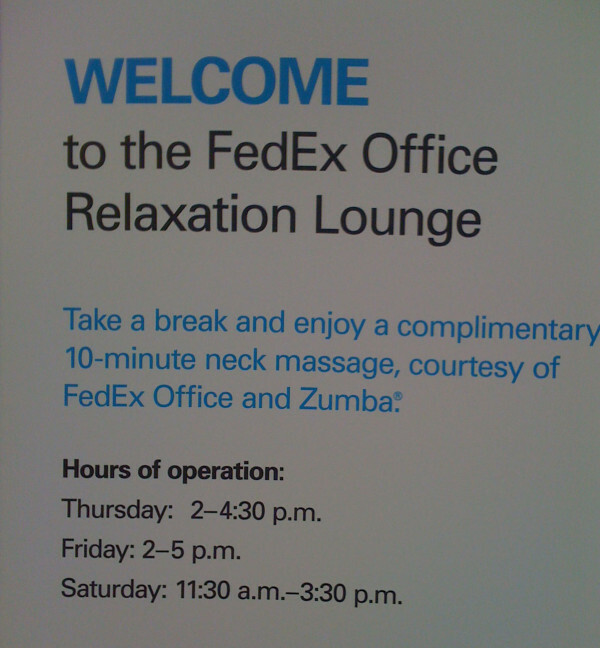 Just having it available, shows Attendees that management is concerned for their health and well-being. We hear it all the time... "what a great idea". 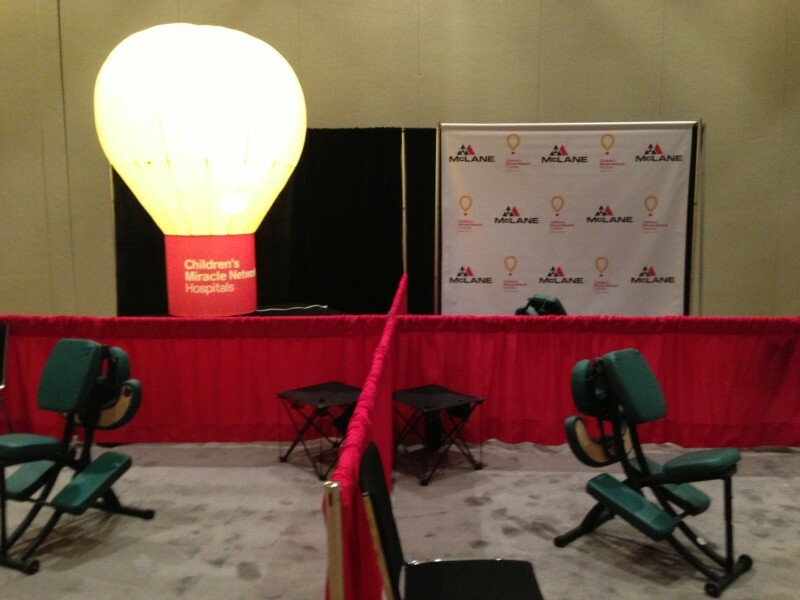 So many reasons to have chair massages at your event and many ways to use it! 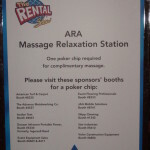 Sponsorships: Chair Massages make for a great sponsorship opportunity with a lot of added exposure for the Sponsor(s). So pick a name for it and put it up for sponsorship. 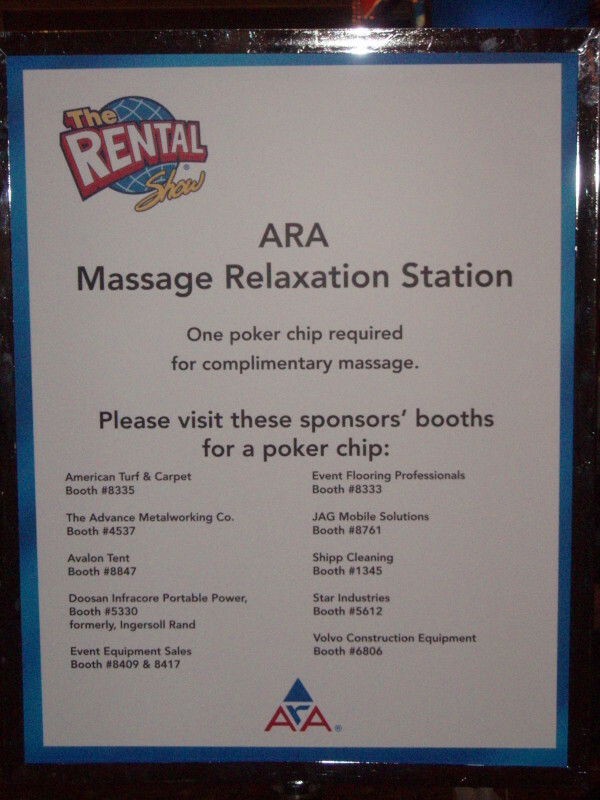 Rest Stops Sponsorships: A chair and masseur at each rest stop or unused pockets in or outside the exhibit hall. They don't take up a lot of space... just a little more space than an average office chair. One or more Sponsor per spot. It's a sponsorship that can be offered as a daily sponsorship making it more affordable for small and/or new exhibitors. 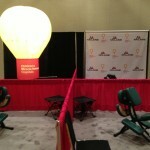 Great for large venues and large exhibit halls. 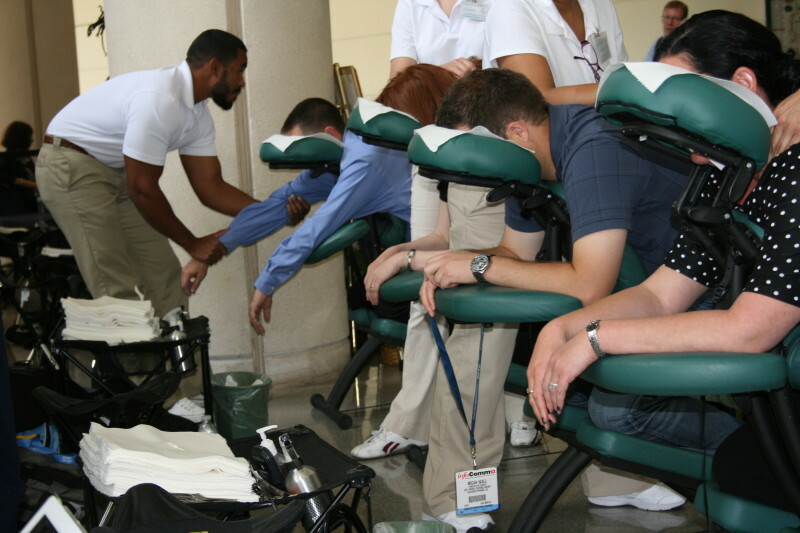 Chair Massages near Registration Area: Getting relief from the tension and stress of traveling, as well as relief for the registration lines. Great exposure for a Sponsor. 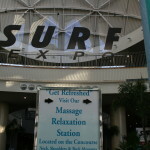 Exhibitor Lounges: Exhibitors normally put in long hours. 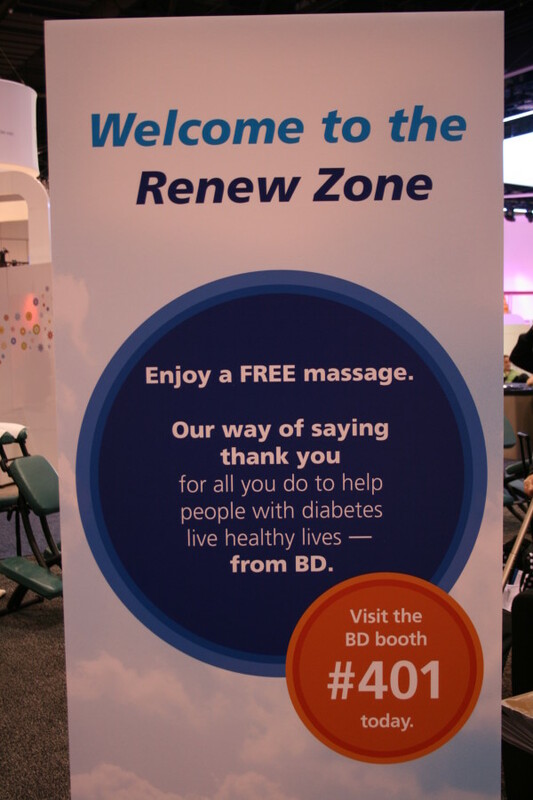 Massage is a great way to help them recharge. 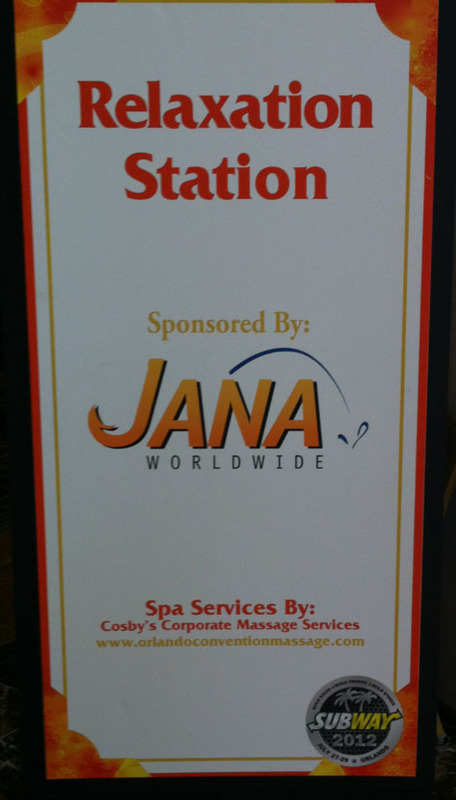 It's a Great Association/Show sponsorship. Especially your VIP, large and returning exhibitors. 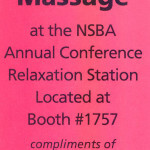 Association/Membership Booth: Give away "Free Massages" for joining, or renewing membership. 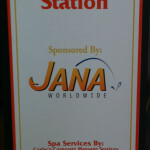 "All massages are performed while clients remain fully dressed." A seated chair massage not only leaves you feeling refreshed and rejuvenated. It can have positive health implications. In just 10 minutes, your blood pressure and heart rate decrease, resulting in a state of calmness. Dr. Tiffany Field, founder of the Touch Research Institute at the University of Miami School of Medicine stated that any type of massage, including chair massage, can reduce stress, improve sleep, help sore and tight muscles and enhance immunity. And she told More magazine, based on the study below, "Anyone who needs to stay alert and focused, should get a short chair massage quick". Controlled studies, conducted at University of Miami School of Medicine, Duke and Georgetown Universities. 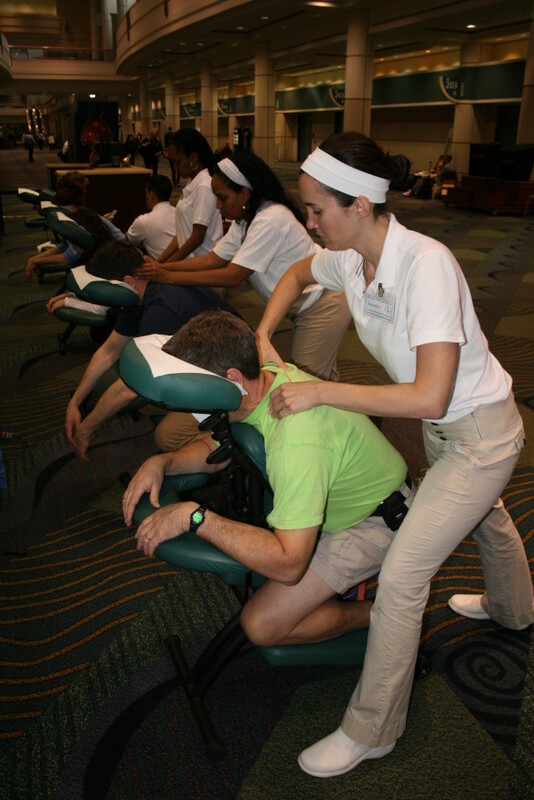 Groups of subjects received 10 and 15-minute chair massages, while other groups rested for the same period of time. EEG results showed that subjects who received chair massages, had an increase in delta brain waves, suggesting they were more relaxed than the rested group and a decrease in alpha and beta brain waves (indicating greater alertness and performance). The massaged subjects also worked math computations faster and more accurately than the groups who only rested for the same periods of time. So what better time do attendees and exhibitors need to stay alert and focused... than during an event.? Working with us, a team that already knows the ins and outs of OCCC and the trade show industry, means things get done a lot faster and a lot easier. "The less stress, the better"! Contact Us Today! 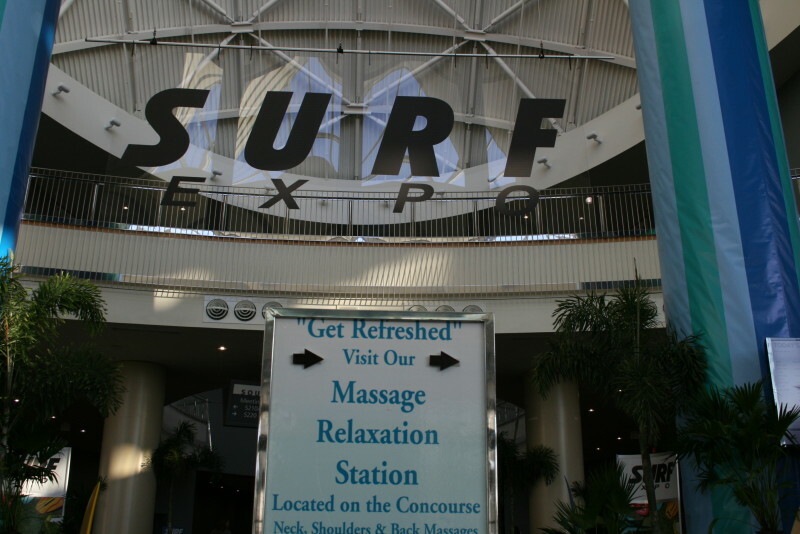 For Events held at Orange County Convention Center... Click to go Planners Massage Services page on OCCC's website or Click Here for our OCCC Massage Services Brochure.